Proprietary Name: Loratadine What is the Proprietary Name? 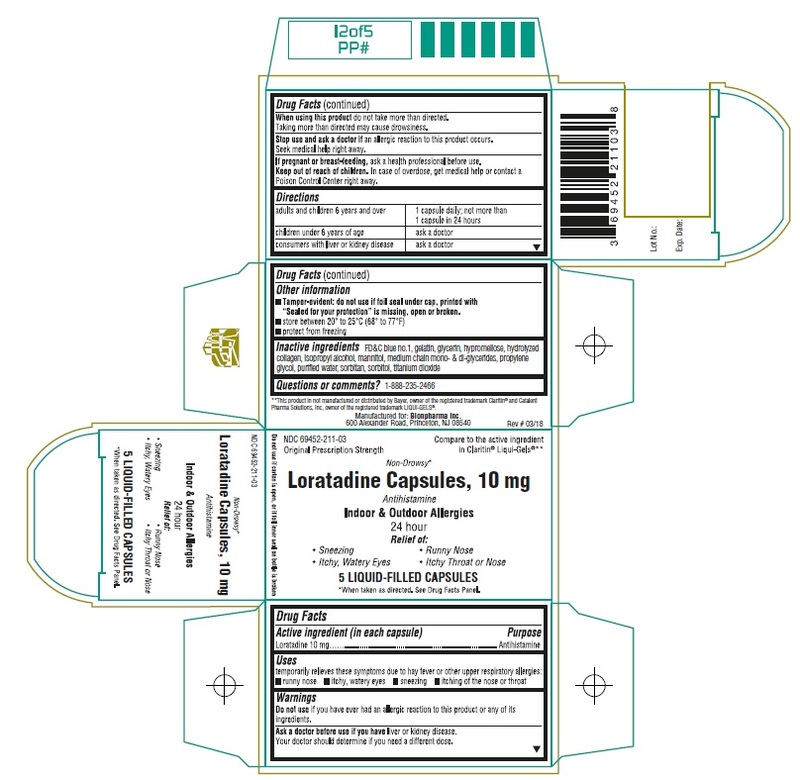 Non-Proprietary Name: Loratadine What is the Non-Proprietary Name? Loratadine with NDC 69452-211 is a a human over the counter drug product labeled by Bionpharma Inc.. The generic name of Loratadine is loratadine. The product's dosage form is capsule, liquid filled and is administered via oral form. Dosage Form: Capsule, Liquid Filled - A solid dosage form in which the drug is enclosed within a soluble, gelatin shell which is plasticized by the addition of a polyol, such as sorbitol or glycerin, and is therefore of a somewhat thicker consistency than that of a hard shell capsule; typically, the active ingredients are dissolved or suspended in a liquid vehicle. FDA Application Number: ANDA202538 What is the FDA Application Number?